Every year in Portland, the Home Builder Association of Metro Portland puts together a Street of Dreams that showcases all of the latest build and design trends. I was lucky enough to get to go the past few years and I look forward to it each time! Touching on all of the trends represented in these homes would be FAR too much to cover in one post though, so I decided to focus on one of my favorites, side tables! More specifically, bedside tables. I love looking at how people style their side tables!! Side tables are a perfect opportunity for a person to show off their personal style and it was so fun to see what trends the designers are predicting. Side tables are usually the first thing you see in the morning and the last thing you see before you go to bed at night so you better make sure that you love it!! 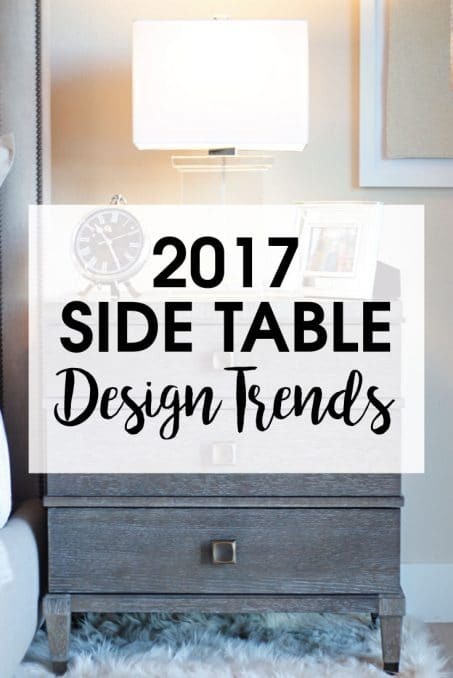 Without further ado, here are the top design trends for side tables coming your way in 2017 according to the Street of Dreams. Mixing design styles is all the rage. 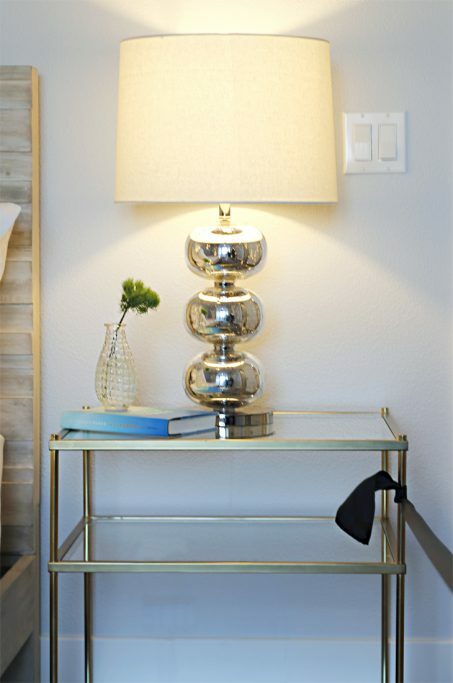 Mix a modern table with a retro lamp similar to this lamp seen here. Are you more of a natural, earthy lover? Here’s the side table and lamp for you! Get your own lamp similar to this right here. I predict this mirrored lamp look is going to be big in 2017! What do you think? Pair your lamp with this mirrored side table and you’re totally in the know. 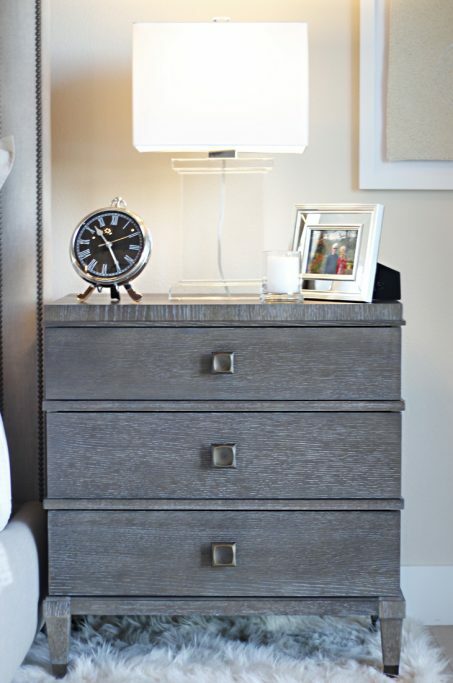 A small dresser that doubles as a perfect side table when you need more storage. This is definitely something I need. Cute and functional! 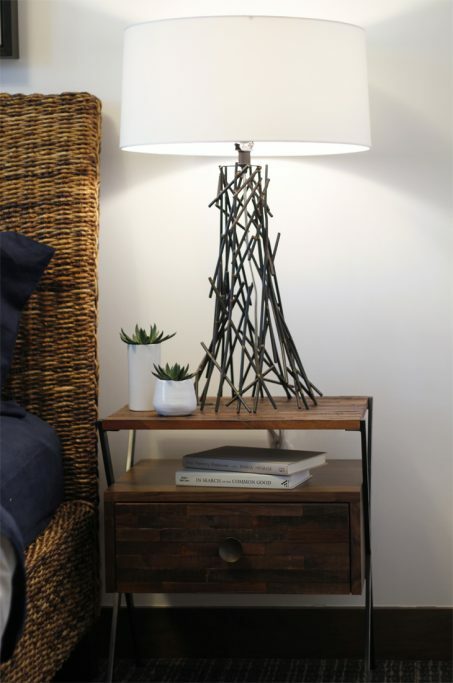 Love this modern side table and lamp! The rectangle lamp base is seriously stunning! And can we just sidetrack and talk about that wallpaper for a minute? Wallpaper was everywhere at the Street of Dreams and I can’t wait to see how we can incorporate it into our home in the next year as we discover our new signature style. A feminine flare on the farmhouse style. 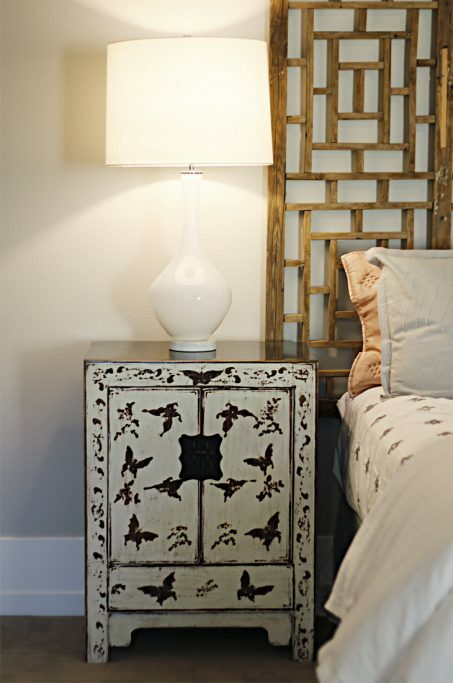 Throw in a little vintage, rustic, and you have yourself a beautiful side table and lamp combo. Looking for a more sophisticated feminine look? 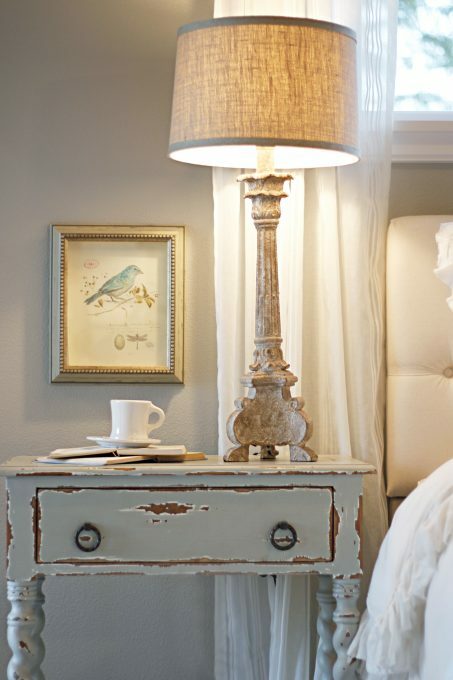 This is a gorgeous, simple french country table and lamp perfect for our master bedroom or older girl’s room. Neutral colors with some rustic thrown in. This simple whimsy look could grow on me…but do you see that gorgeous headboard? LOVE that! 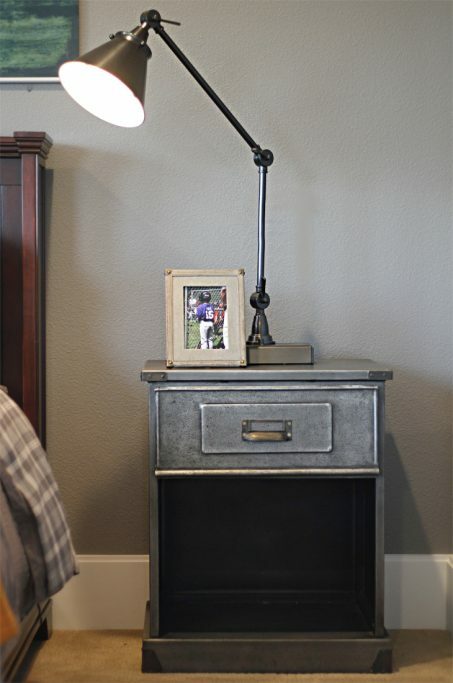 An industrial style metal bedside table and light. This would be perfect for a teenage boy’s room. I love how the paired the two together. Grab your own industrial light right here. 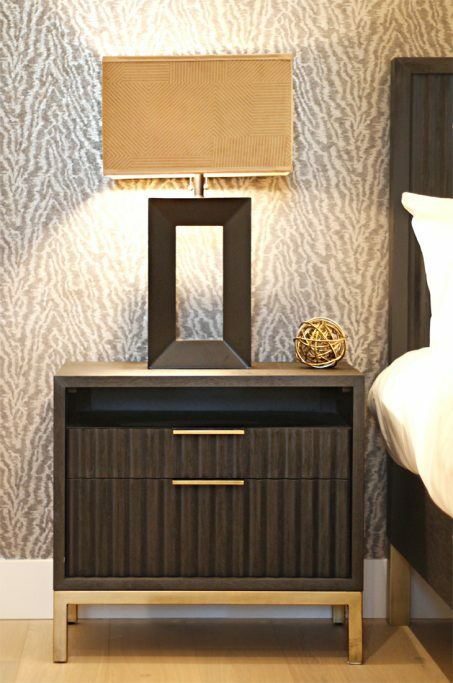 And that’s it…9 bedside table design trends you can expect to see headed your way in 2017. Which one right off the bat are you loving? Or maybe there’s one trend you know you won’t be able to get behind? Leave a note letting me know in the comments below! I’d love to hear what you think! Great post. 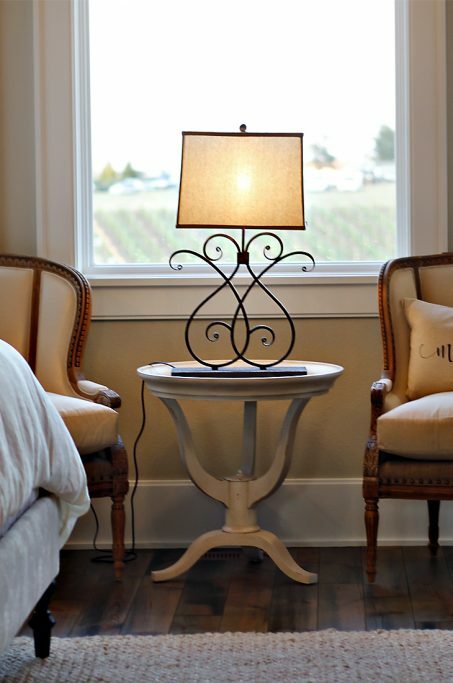 Contemporary Upscale and French Country side table designs are something I was looking for my house. I loved your post. I am awaiting for your next post about home decor items. Thanks for sharing.